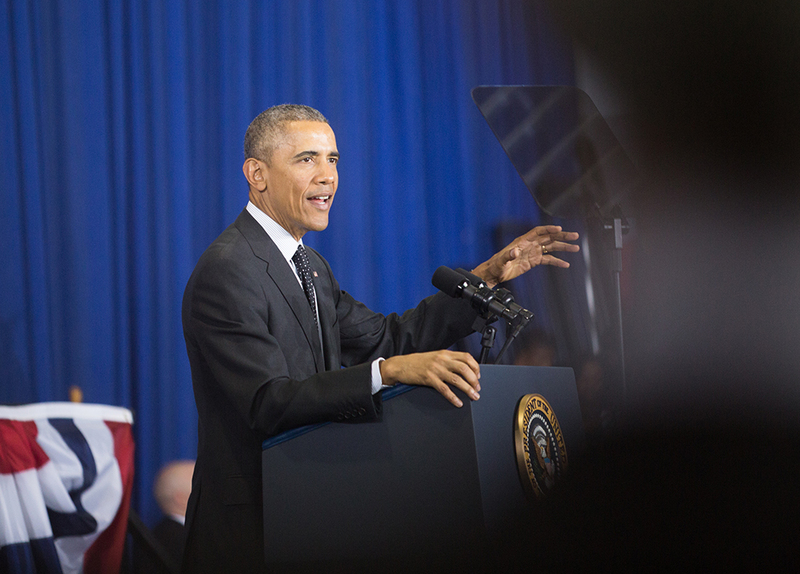 President Barack Obama speaks on Feb. 19, 2015 at Gwendolyn Brooks College Preparatory Academy. President Obama is expected to push for stricter national gun laws during a speech Tuesday at the annual conference of the International Association of Chiefs of Police in Chicago. The laws are aimed at making it harder to sidestep gun laws in one state by driving to nearby states with less restrictive gun regulations. The problem has plagued efforts to stem gun violence in Chicago. The Reporter examined Obama’s record on gun control in advance of his speech to the police chiefs.